These are absolutely ADORABLE Sherrie! Love how you did a set in blue and red! SO PRETTY! Thanks so much for having me Michelle and Candace! I had a ball creating with your product~The Hello Deer is one of my all time favorite sets this year!! Have an awesome day! Wow!!! They are both beautiful, I love the pattern paper and colour combination! Again, WOW! So pretty! Love the different color pallets. Congrats on your GD spot!! Awesome!! The Hello Deer is Precious!! 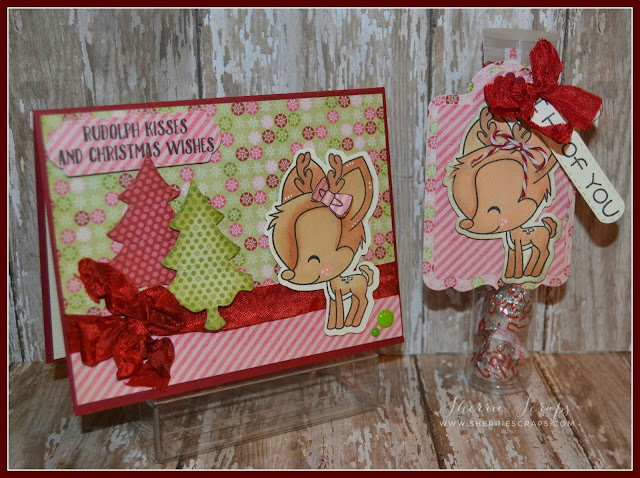 Such adorable cards & tags!! Super fun treats! these are so beautiful!!! I love the color combos!!! So super sweet, Sherrie!!! I love this stamp set too! these are all so precious! I love everything! Amazing JOB! 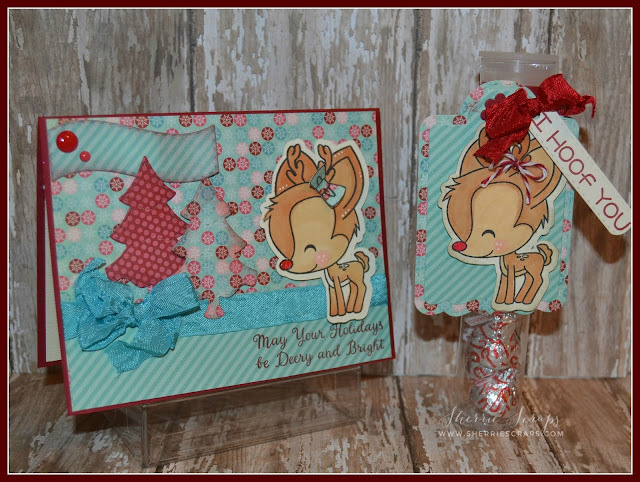 Beautiful cards Sherrie! I love that little deer! Beautiful job on your projects. Your coloring is just amazing. As always, Sherrie, your projects are fabulous! Very cute project! That deer is adorbable! !